Raju Dodle had his work cut out for him convincing India’s construction industry to order buildings off the shelf, but persistence paid off. Now, the Vice President of Kirby Building Systems is setting his sights even higher. Raju Dodle never questioned the direction in which he would forge his career. A fascination in structures made from steel in his school years marked the beginning of a lifelong passion, fostered at Osmania University in India where he completed a degree in civil engineering and an MBA. In 2000, when Raju was introduced to the concept of pre-engineered buildings (PEB), he recognised a bold idea he knew would revolutionise India’s deep-rooted construction industry. 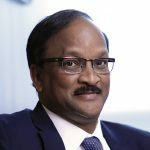 Raju had been working in the steel manufacturing and construction industry for 17 years when Kirby Building Systems arrived in India from the Middle East, armed with plans to build a production plant in Hyderabad. Naturally, Raju’s expertise was a great match for Kirby. He accepted an opportunity “too good to miss” and joined the company as Head of Engineering, Business and Product Development. Now, as Managing Director and CEO of Kirby India, and Vice President of Kirby International, Raju reflects on those difficult early days, being beleaguered by doubts from local contractors and architects entrenched in the tradition of fabricating steel components onsite. A subsidiary of Kuwait’s Alghanim Industries, one of the region’s largest privately owned companies, Kirby Building Systems is one of the largest PEB companies in the world, with operations across 70 countries and an annual production capacity of 400,000 metric tonnes. 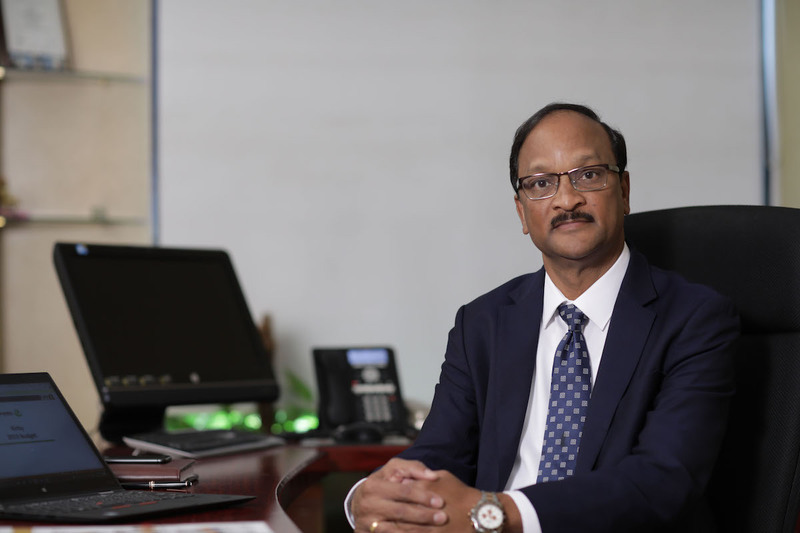 Raju spearheads the five manufacturing facilities employing more than 4,000 in Kuwait, the United Arab Emirates, India and Vietnam. Beginning in the Middle East and Africa in 1976, Kirby has now been in operation for more than 40 years. Kirby started its manufacturing operations in India with the design, manufacture, supply and construction of warehouses, simple factory buildings, and other low-rise buildings supplied to areas affected by the Gujarat earthquake in 2001, besides other products such as guardrails and sandwich panels. metro rail stations. “We make everything according to customer specifications. All the components are designed, detailed, numbered and fabricated in our plants, before being sent to the job site with a construction drawing. There is no fabrication on-site, only assembly using bolts and nuts and a crane to install. We are the undisputed leader for PEBs in India, and have been right from the beginning. It’s really not surprising when you consider Kirby was also the first to introduce this concept to the Middle East, and later to South-East Asia in 2008, on the back of the strategic partnerships and expansion strategies of our parent company Alghanim Industries. Raju has overseen some of Kirby’s most iconic structures including one of the largest PEB in the world, the Renault Nissan Automotive plant in Chennai. The 310,000-square-metre building used more than 20,000 metric tonnes of steel and was completed in just 11 months in 2009. 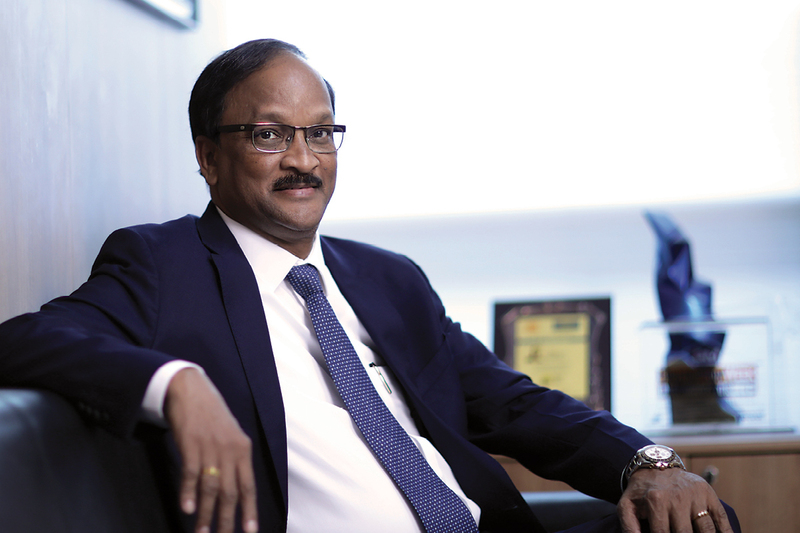 Raju is confident that Kirby can continue to maintain its edge over the competition because of the company’s expansive state-of-the-art manufacturing facilities and superior engineering capabilities. Kirby also has a world-class Research and Development Centre in Hyderabad, the Centre of Engineering Excellence (CoE), offering engineering services to Kirby across all the regions it operates. “We are renowned for our reliability, delivering on time, and producing high-quality products. Our R&D teams are crucial for our incremental innovation, while our network of certified builders and engineers are all expertly trained by us to erect the buildings professionally onsite according to our safety and erection standards. As a chartered civil engineer, there’s no doubt Raju’s technical background is of huge benefit to Kirby. However, his skills extend well beyond the technology. He holds an MBA with a specialty in marketing and enjoys a reputation for communicating well across all departments. In fact, Raju is the first to admit that if he had to choose between engineering a construction and managing people, he would choose the latter. He thrives in an interactive environment, working with a team, troubleshooting ideas and delivering them. “I will always be very happy to work in general management, while using my expertise in engineering to help out in other areas. While Raju understands his passion for the product launched his lifelong career in steel, he acknowledges it was his determination to breathe life into a new concept that saw India’s construction industry turn on its head.